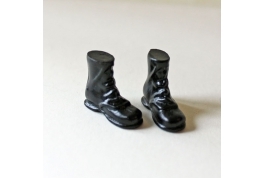 Welcome to our dolls house clothing section, we will be expanding our range in the future. 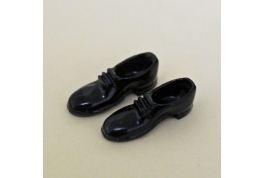 12th Scale Dollhouse Shoes For Men. 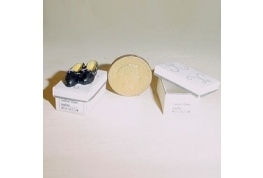 A Delightful Miniature To Add That Finishing Touch o Your Miniature Shop Or Dressing Room. 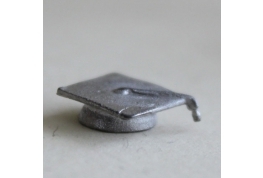 This Delightful 12th Scale Metal Graduation Cap Just Needs A Coat Of Black Oil Based Paints To Finish It Off. 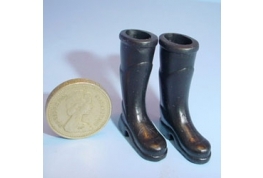 A Pair Of 12th Scale Black Boots. 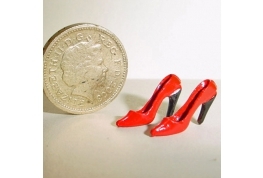 12th scale red shoes ideal for many different miniature settings. 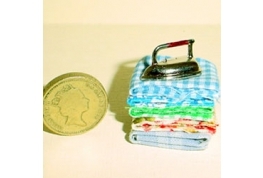 12th Scale Pile Of Ironing And Iron. A Super Addition To Your Dollshouse. 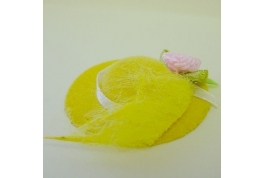 12th Scale Yellow Velvet Effect Hat With Feather And Rose Decoration. 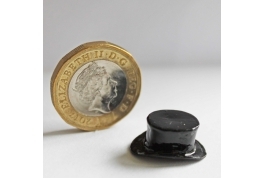 1:24 Scale Painted Metal Top Hat could also be used as a small boys top hat in a 1:12 scale setting. 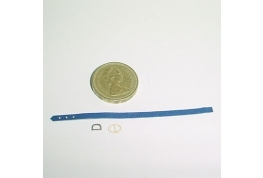 1:12 scale belt kit complete with buckles, colour may vary from picture displayed.